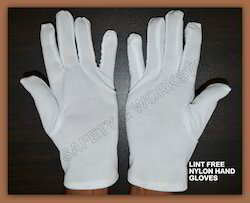 Our company is one of the market leaders engaged in offering a wide range of Nylon Lint Free Knitted Safety Hand Gloves. 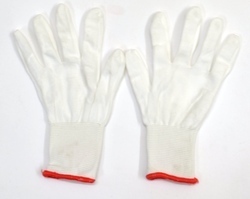 The wide range of products offered by us includes Polyester & Nylon Knitted Hand Gloves and Polyester - Nylon Knitted Safety Gloves. 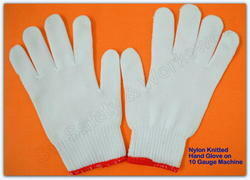 We are one the leading manufacturer and supplier of Nylon Lint Free Hand Gloves. They are used for lint free applications. are used to protect hands effectively and is highly appreciated in the industry for its easy usage and long life. These are fabricated using superior quality raw material and are presented in different specifications to meet the diverse requirement of our clients.